Christmas-themed doodles in black and white. 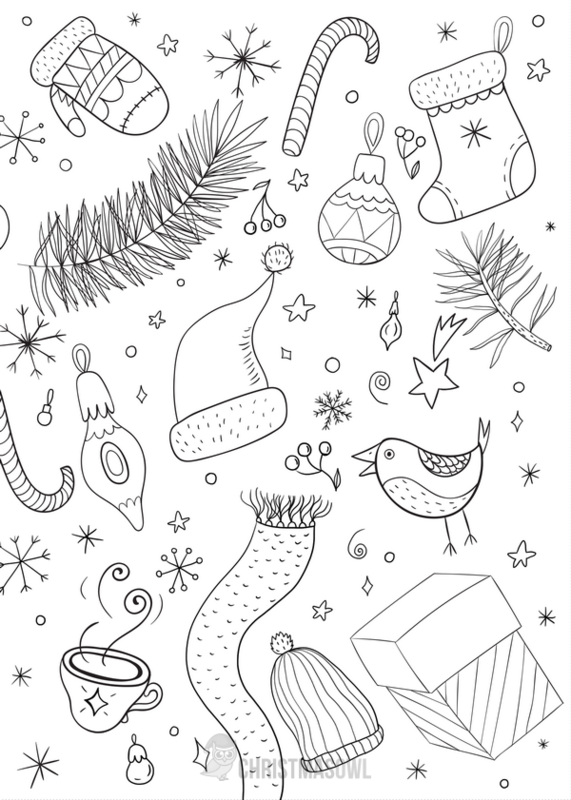 The doodles include ornaments, a stocking, pine branches, snowflakes, and more.The card measures 5 inches x 7 inches. It will fit in a standard A7 envelope.